A man smoking at the window side of an apartment, the man is observing the citizen and doing for his hobby. In the room there is a television broadcasting about the activities of heroes from now on, and the man consent with the caster. The caster commented the retirement of All Might and anxiety about Endeavor who replace All Might in number one hero. And from now on not only hero will protect the society, but also the citizen need to cooperate with hero making the society. The man wore jacket and mutter about the society become weak by the retirement of All Might, became weak in not about the physical thing but the psychological thing. And from nowhere he heard a voice talking it’s all about physical thing, the man looks like suffering from auditory hallucination. The man went out and encounter with a bank rob, and the hero came to help but the robbery were 4-man team, the hero get hit from behind and fainted. 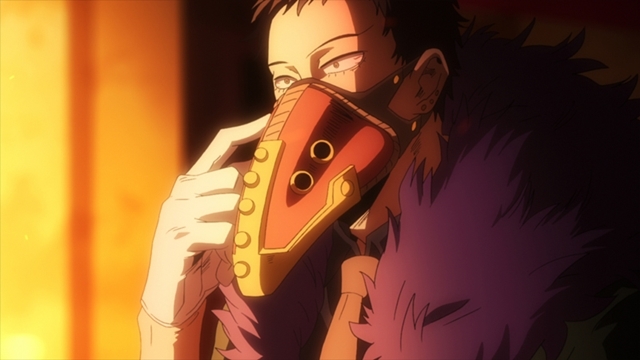 The villain are became active recently by the retirement of All Might. The man receive a phone call form Giran and randomly chatting. 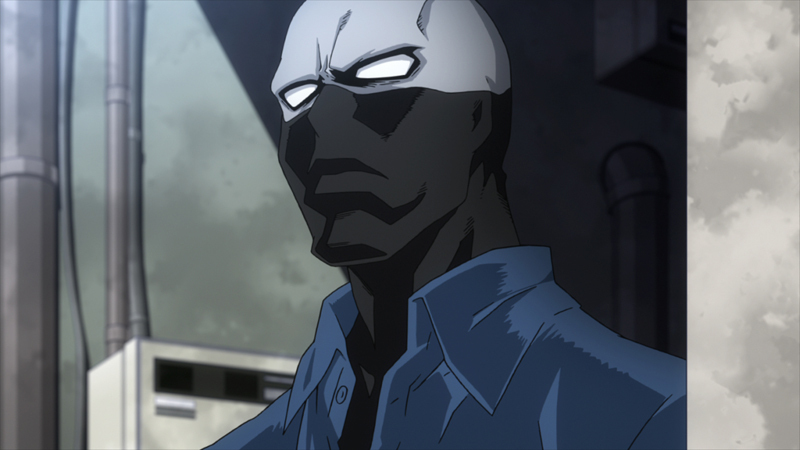 The man again hear some hallucination and wears a mask and the hallucination stopped. The man was a Twice, the member of League of Villain. Twice’ quirk is double, doubling things and people. One he multiply himself and leaving all things to the clones and the clone fighting each other for 9 days. Since that incident Twice suffer from multiple personality disorder and don’t know if he is the original Twice. But one he wore a mask the hallucination will be prevented. Twice is looking for a member for League of Villain and the robbery did not match his expectation. Twice is doing what the League wanted for complying him with the League. Twice is not looking for ordinary Villain, he is looking for cruel personality. 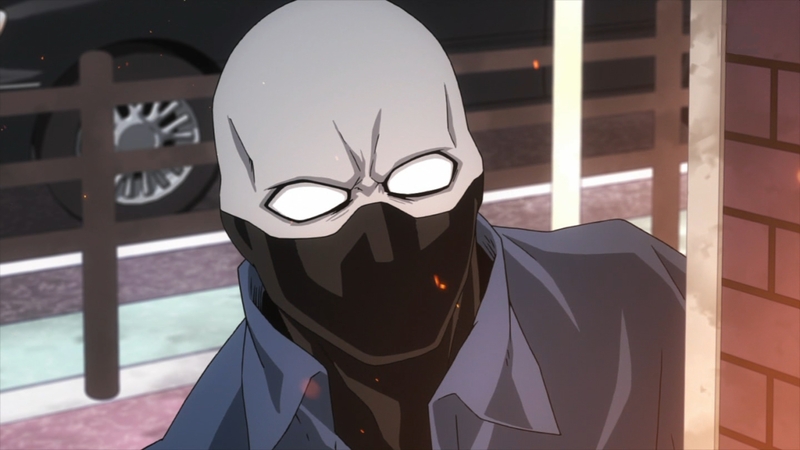 And Twice encountered the robbery attacked by a man with a crow mask, its look like Twice found what he looking for. Morning in U.A. the students are attending to school. Midoriya and Bakugo are suspended waiting at dorm. 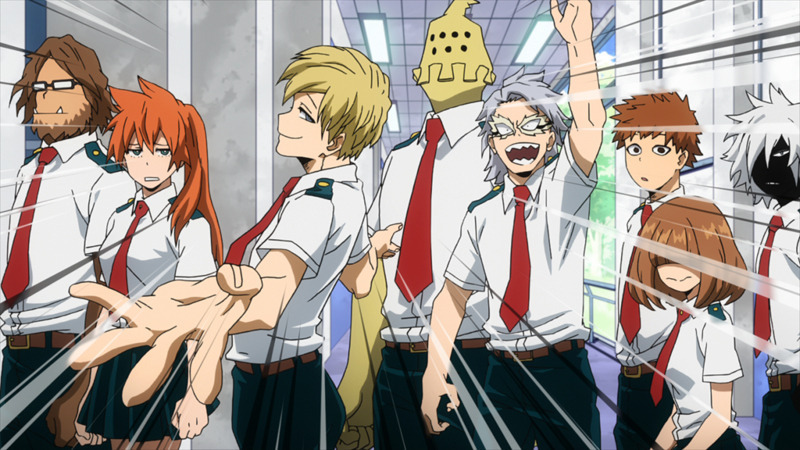 The students are moving for morning assembly, the student of B class Monoma were making fun of some of the student in A class failed the license examination and Todoroki sad about. The student from normal class came and told to hurry to the ground for the morning assessment. The morning assessment begin with the greeting from the principal. The principal commented about the retirement of All Might and the depression of the society. And the student from the hero class will receive its aftermass. And the school decided to conduct the Hero Internship for the 1st year student, Hero Internship is usually conducted in the 2nd and 3rd year and is to experience practical activities as a hero. During the speech All Might recall principal Nezu offered the job as a teacher with the search of the successor of the One for All, and Nezu recommended particular student. That student also joining the morning assessment and All Might were looking at. After the morning assessment, homeroom teacher Aizawa giving a explanation about the Hero Internship. Hero Internship is to gain the practical experience and to be hired as a hero not like as a student last semester. After the explanation a normal class starts. After the class Midoriya were gathering the garbage of all the room in the dorm, and suddenly taught the place of the garbage area from the wall, Midoriya asks why but the man answer he will know sooner and disappear. In the next day, Midoriya finishes his suspension. Aizawa came to the class room and explain the detail of Hero Intership, and three senior student came to the classroom. They were the top student in the U.A. and called The Big 3. And one of them was the man in the wall Midoriya met yesterday. My Hero Academia season3 episode17 spoilers! My Hero Academia season3 episode12 spoilers! My Hero Academia season3 episode8 spoilers! My Hero Academia season3 episode25 spoilers!